Your IPC parts are phased out by your suppliers? 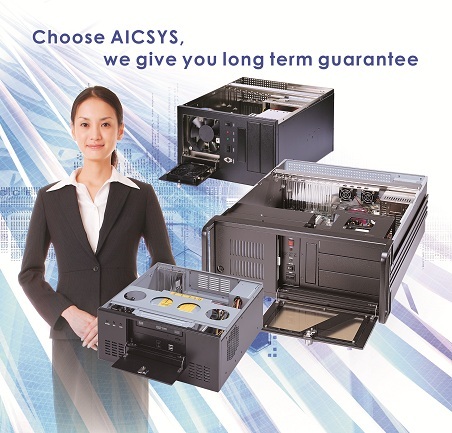 AICSYS is your Solution! A customer who has bought our products for a long time but whom we could only recently meet face-to-face shared his account on why he has preferred AICSYS products than those of other suppliers in the IPC market. He is an industrialist who owns and operates automated machines in a manufacturing situation. For him, the basic considerations in choosing a particular product are based on the costs, both the initial, operating, maintenance, replacement, and upgrading costs, the reliability of the products which means a limited amount of down time periods, and the continued support for the availability of spare-parts and replacements. In the recent meeting in our office, the customer told us that he can find a lot of low cost IPC products in the market, and most of them look ruggedized and can be financed for a reasonable figure. But then he also told us that he has chosen us as his supplier just because he values our continued support for his pieces of industrial computers. He recalled that once he bought a product which seemed very good for a very good price. But after a period of time, when the time came to a failure, the supplier had already phased out the particular product. As the result, he had to suffer a very great loss because there was no product which was compatible to the particular one, and he had to invest a completely new set of industrial computers. That was really a lot of money which had to be invested unnecessarily. If only the product had not been phased out by the supplier, then he would not suffer so much. He also expressed his appreciation for our commitment to provide him with products which he could trust for their availability. In fact, that has been our commitment for us at AiCSYS to provide you with a continued support for your industrial computers. We have been serving a lot of such satisfied customers with continued support through our OEM / ODM – customized products to meet your specific needs which command for a backward compatibility to older settings and technologies while at the same time also open to new developments. If you have any problem with your project because your suppliers have phased out your industrial computers, AICSYS is certainly your best partner to solve this disaster.